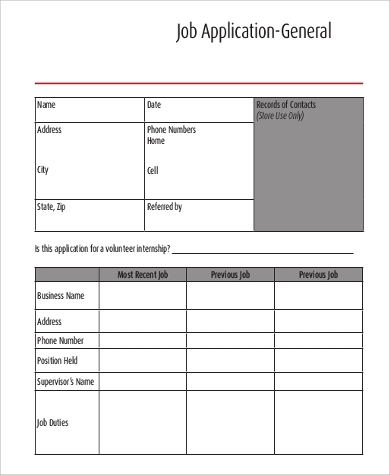 Whether you are a sole employer, a rookie HR recruiter, or even an experienced one who is constantly seeking ways to improve work productivity, then you must learn how to utilize one of the most important tools of recruitment—the job application form. 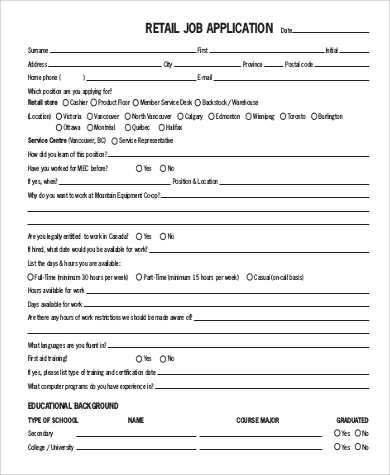 Here at sampletemplates.com, we are providing you with easily downloadable and editable job application forms for you to choose from. You can edit these easily since these are in Word and PDF formats. 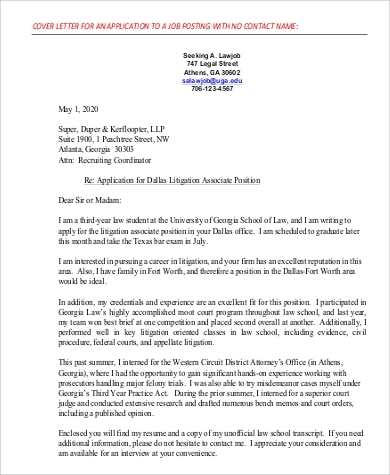 Additionally, if you are on the other side of the hiring process—the applicant—then you may also find our Application Letters useful. Feel free to scroll down below and download the templates that suit your needs. 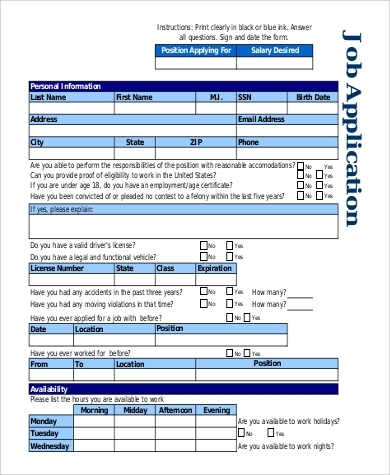 A job application form is considered a lifesaver to most recruiters, especially those who work for huge companies. 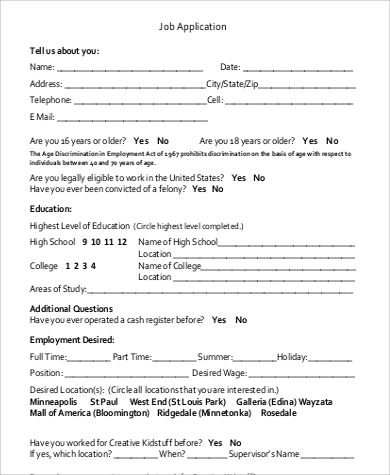 A job application form is a standardized form that recruiters ask job applicants to fill out before the initial interview. 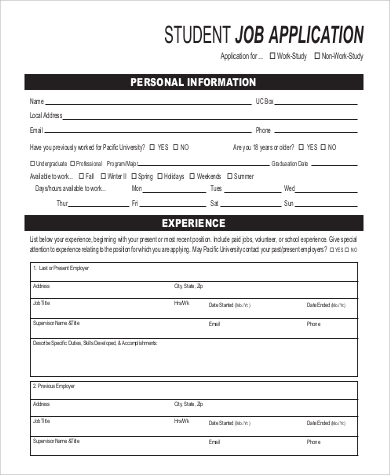 Dig deeper into the applicant’s merits by asking for awards or other accomplishments (job promotions in previous companies, academic awards while studying, and etc.). Ask specific competency questions (this way you are targeting the applicant’s suitability for the job while saving time and effort by knowing these particulars without conducting a time-consuming initial interview). 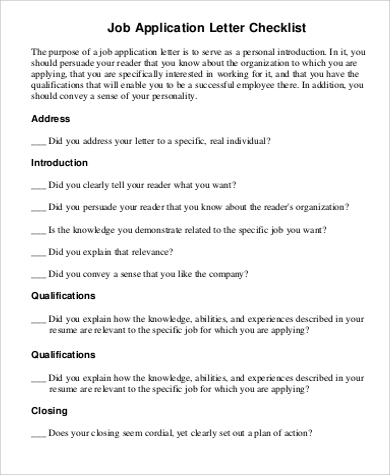 Evaluate the applicant’s values by asking them to write a short essay on a specific ethical issue. This way you can asses whether or not an applicant is culturally fit for your company’s visions and values. 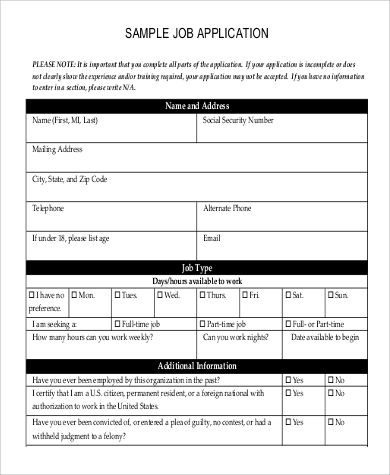 Clearly, these forms are such wonderful tools of recruitment, and if you want more samples for your guidance, you may want to check out our collection of Blank Job Applications and Target Job Applications. Simply click on the links provided. It allows a recruiter to save his/her time and energy by avoiding the long and torturous road of reading entire bulks of resumes and CVs. 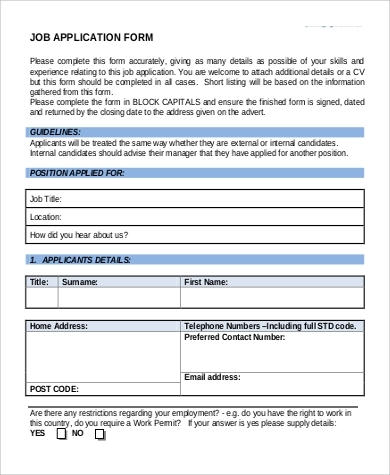 It allows a recruiter to assess the candidates’ qualifications in an objective and systematic manner because of the standard format with which the information are presented in this form. It gives the recruiter an idea how to approach the applicant in the initial job interview. It allows the recruiter to screen out only those who are truly qualified. 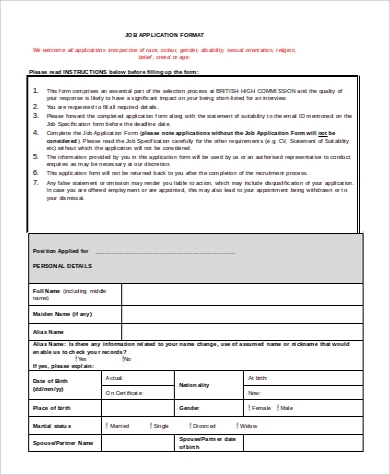 Now that you know benefits of job application forms, you might also want to check out our Generic Job Application Samples. You may click on the link provided.